Panel of high-ranking military officials vindicates Israel's conduct during Protective Edge ahead of UN fact-finding mission. 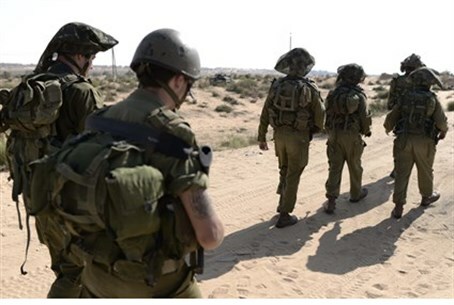 The IDF superseded international law in protecting Palestinian Arab civilians during Operation Protective Edge in Gaza, according to a report submitted to the United Nations (UN). Eleven high-ranking military officials visited Israel in May as part of the High Level International Military Group for a fact-finding mission on the 2014 Gaza conflict. They published their report ahead of the UN inquiry on the war, which will be released Monday. UN Watch noted Sunday that the findings vindicated Israel despite the unprecedented international criticism lobbed against it during the summer war. The report begins by clarifying the circumstances preceding the conflict. The officials then note that Hamas "deliberately and indiscriminately targeted Israeli civilian population centers" through rocket attacks and digging terror tunnels - both of which they conclude are unequivocally considered as "war crimes." The report then contrasts Hamas's use of human shields with Israel's attempts to save lives. “Hamas launched attacks against Israel from the heart of its own civilian communities in Gaza and positioned its munitions and military forces there also, including in schools, hospitals and mosques," it says. "As well as carefully documented IDF evidence of this, we have viewed international media footage confirming several cases and are aware of senior Hamas officials' own claims to have used human shields." “Our overall findings are that during Operation Protective Edge last summer, in the air, on the ground and at sea, Israel not only met a reasonable international standard of observance of the laws of armed conflict, but in many cases significantly exceeded that standard,” the report concludes. “We saw clear evidence of this from the upper to the lower levels of command." The report corroborates previous findings that IDF went to extraordinary lengths last summer to prevent civilian casualties while fighting Hamas terrorists in Gaza, achieving a remarkable 1:1 civilian to combatant ratio.